V8 - Drive Dodge - Drive Sport! Drive Dodge – Drive Sport! Dodge Company is famous for being able to produce popular mighty muscle-cars, such as 707-horsepower Hellcat Charger and Challenger. 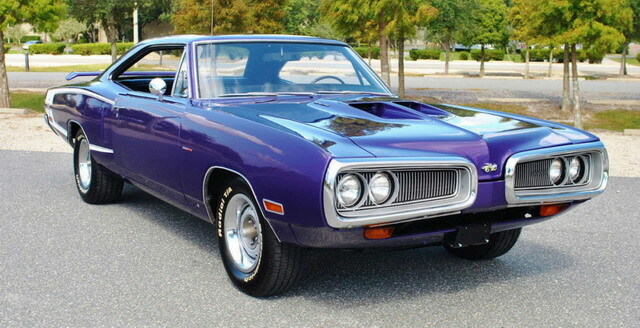 But almost 50 years ago, before the appearance of two models mentioned before, in 1968 the car brand has introduced drag Coronet Super Bee, created on the basis of the Plymouth Superbird at the Detroit auto show. The current generation of the iconic Challenger is presented on the auto market since 2008, so it is not surprising that Dodge is preparing its successor. But before, two special editions of the model will appear as the final chord of outgoing model. 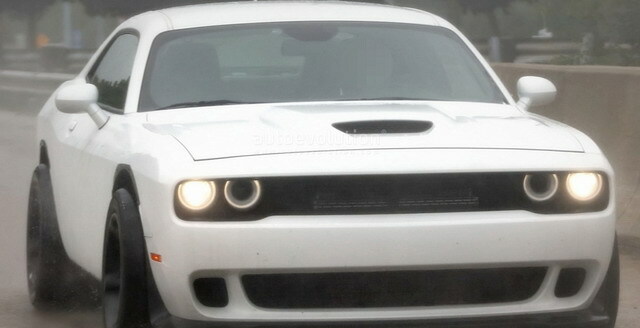 According to journalists, Dodge Company plans to release its all-wheel drive modification of sports car Challenger. This information was obtained from their source. The updated model debut will take place in the near future. By the way, the novelty received a name GT AWD. It is known that under the hood of new model will be installed a 5.7-liter 8-cylinder engine HEMI producing 375 hp. More precisely, such a power will be generated by the motor with the default settings. 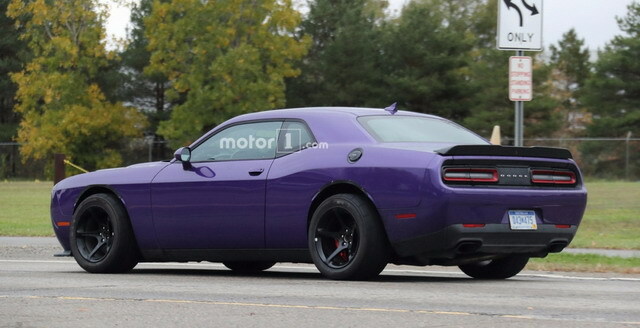 Company Dodge launched road tests of a new modification of the coupe Challenger Hellcat with an index ADR (American Drag Racer). This dreg coupe version was recorded by omnipresent photo spies. Spotted Dodge Challenger Hellcat ADR differs from the standard model in the presence of advanced tires designed for high-speed races on short distances and kit «wide-body», which marks out the car by the presence of increased wheel arches. Recently it became known that the Dodge is preparing a “charged” version of the Durango model, which will get an additional index SRT. Appearance of the novelty is expected next year, and today the high-performance crossover prototype was spotted at the parking. Although in general the car does not differ from the current three-row model, the new vehicle received an aggressive front part partially hidden under the camouflage. Dodge Company will present an updated version of the popular SUV Durango with an index SRT in 2018. Index SRT means that under the hood of this car there will be a powerful 6.4 liters eight-cylinder engine. 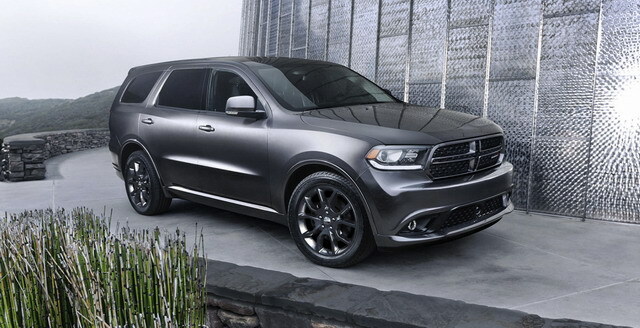 This power unit can easily accelerate Durango from zero to hundreds in just 5 seconds. 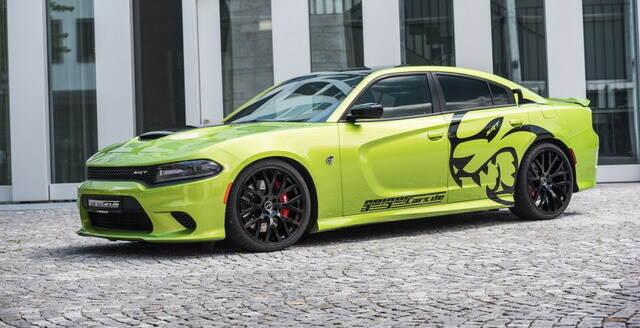 German studio GeigerCars officially released a new modernization program for the “charged” sedan Dodge Charger SRT Hellcat. High-performance vehicle has received a number of improvements, providing an increase of engine power to fantastic 782 horsepower. Best Dodge Model as a Future Investment? DodgeGo uses images found on the web and considered to be in the public domain. We don't claim to be the owners of such images. But if you are the owner of an image and want it removed, please, inform us and we will do so as soon as possible. Dodge Caliber – five-door compact hatchback car, in production from 2006-2012. Dodge Magnum - station wagon model with rear-wheel drive, in production from 2005-2008. Dodge Nitro – front engine, rear-wheel drive compact Sport Utility Vehicle, in production from 2007-2011. Dodge Sprinter – commercial vehicle, van and minibus, in production since 2004 till 2009. Dodge (Neon) SRT-4 – fancy sport compact car, also known as a turbocharged version of the Dodge Neon model. Dodge Avenger - mid-size sedan model of Dodge with front-wheel drive. Dodge Caravan – minivan model, family-size. Dodge Challenger – powerful muscle car with big and strong engine. Dodge Charger – four-door sedan model with rear-wheel drive. Dodge Dart – compact four-door sedan model, revived in 2012. Dodge Durango – four-door full-size Sport Utility Vehicle. Dodge Journey – mid-size five-door crossover Sport Utility Vehicle. Dodge Viper – two-seat modern and fancy sports car with V10 core. Dodge Avenger Concept – debuted in 2008 at the Paris Motor Show, as a new concept sedan model. 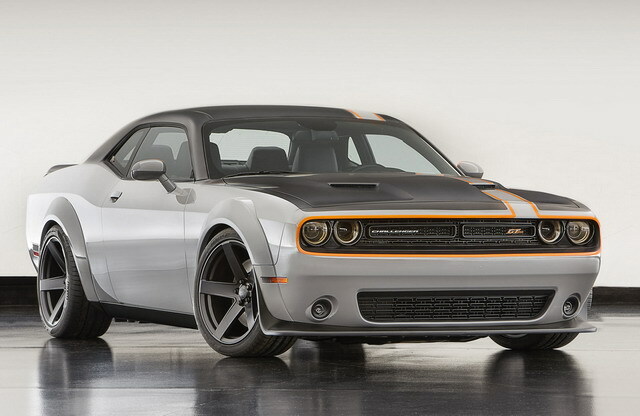 Dodge Challenger Concept – also known as Super Stock Concept, built for 50th anniversary of Hemi engine. Dodge Demon Concept – roadster concept first presented in 2007 Geneva Auto Show. Dodge Hornet Concept - creative concept five-door mini MPV model presented in 2006. Dodge Intrepid ESX Concept –fuel efficient lightweight hybrid vehicle presented in 2003. Dodge Kahuna Concept – very compact and futuristic minivan presented in2003 Detroit Auto Show. Dodge M80 – modern and bright truck concept introduced in 2002. Dodge MAXXcab - 4-door sport utility pickup truck concept vehicle from year 2000. Dodge Powerbox - supercharged concept model with V6 engine that runs on compressed natural gas. Dodge Rampage – concept truck with HEMI engine, introduced in 2006. Dodge Razor Concept – rear-wheel drive powerful turbocharged concept presented in 2002. Dodge Slingshot – modern muscle car concept with high fuel economy, from the year 2004. Dodge Super 8 Hemi – high-performance concept car with 5.7-Liter V8 engine, first introduced in 2001. Dodge Tomahawk – creative and futuristic non-street concept vehicle of year 2003. Dodge Zeo – the 2+2 concept sports car with electric motor, presented in 2008. For the growing popularity of American brand Dodge we are presenting you our new web-site DodgeGo.com, on which we will post latest news from the automaker, featuring new models, updates on the technical side of the vehicles and the customer reviews. In addition you will hear lots about Dodge sporting events and will be able to witness lots of photos and test drive information.